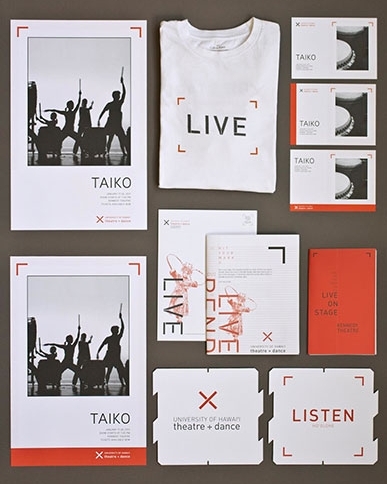 The language of stage markings and body action verbs were used as the focus for the new identity for the Department of Theatre and Dance, along with the key theme of the performer’s body being alive in time and space. 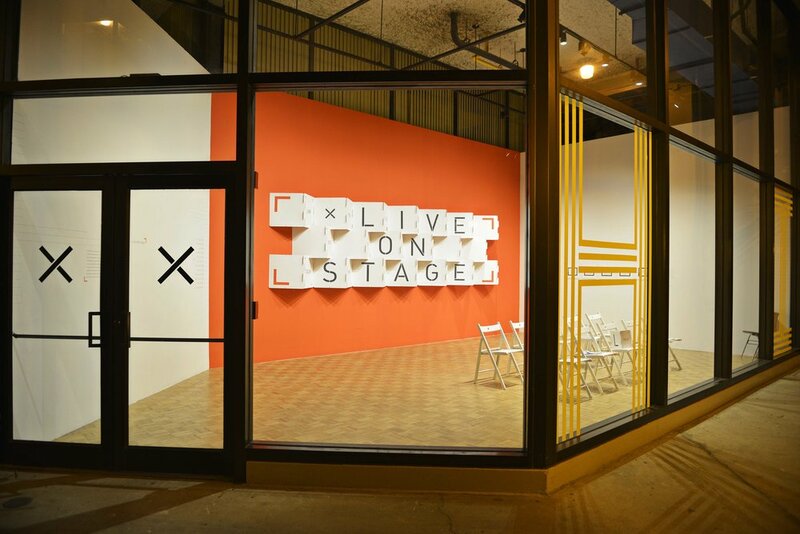 The system was applied to promotional and event materials, the Department website, and a modular conference display. 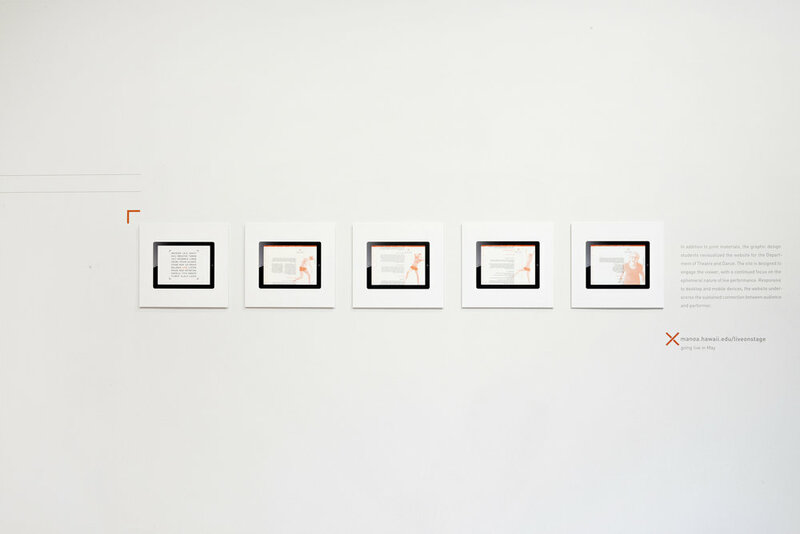 To coincide with the campaign, an exhibition (in the University of Hawaii at Manoa’s Commons Galllery) was staged that flipped the performer/audience relationship inside out. 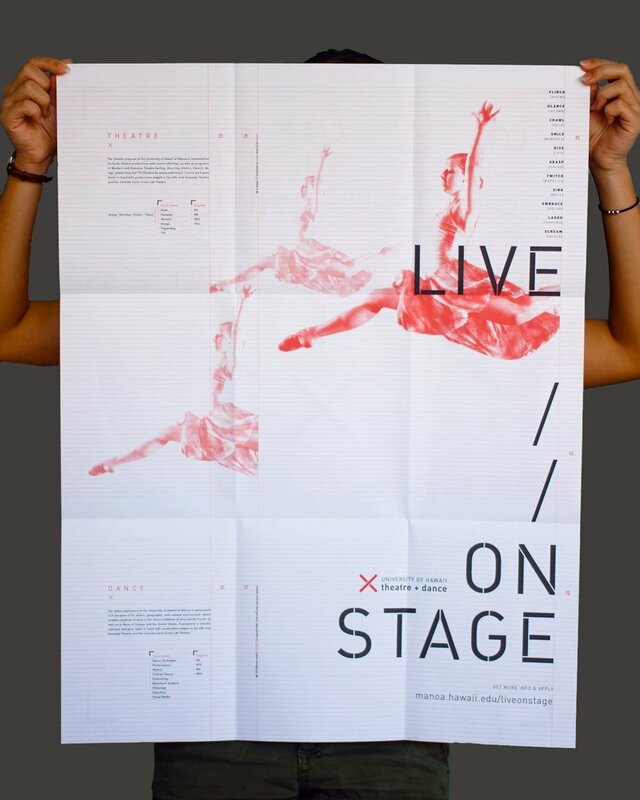 **This work was received a Top Student Award at the AIGA Honolulu Chapter HI-50 2012 Design Awards.